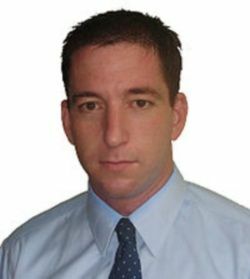 Why Glenn Greenwald Is Wrong? Today in my twitter stream was someone ranting about Glenn Greenwald and Katrina vanden Heuvel writing nice things about Ron Paul. In fact the person said both were RWNJs for supporting Paul. Of course the tweeter was wrong. Neither was supporting Paul only pointing out the ideas that Paul has that liberals usually support. I agree with most of what Greenwald writes but when talking about Ron Paul I disagree with his unstated conclusion. This entry was posted in Media, Politics and tagged 2012 US Presidential Election, anti-war, civil libertarian, civil rights, Glenn Greenwald, indefinite detention, liberal, libertarianism, NDAA, President Barack Obama, rant, Ron Paul, war on terror on January 2, 2012 by Doug. 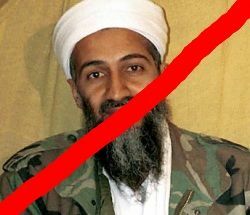 Should I feel good that Bin Laden is dead? I am strongly opposed to the death penalty. It is a waste of time and money and isn’t justice. I strongly support the rule of law, due process, and the criminal court system. I seemed to throw all that out late Sunday evening when I learned that US Special Forces killed terrorist Osama Bin Laden. I was concerned when the media started to ramp up coverage late Sunday evening for an unusal statement from President Obama about a publicly unknown topic. Such sudden statements either mean a military operation has occurred, there was a death of a significant figure, or a killer asteroid was about to snuff out civilization. None of those are really good news but the President surprised me. He announced that the terrorist Osama Bin Laden had been killed in a raid on a house in Pakistan by US Special Forces (reports say it was a Navy Seal team). I fully support due process and the legal system but Bin Laden wouldn’t give up so his death is not a problem for me. He was either going to be dead in a shoot out or dead from old age in a dank dark prison and I am slightly happy about it. The man helped plan, fund, and execute terrorist activities including 9/11 that killed THOUSANDS. But let me be clear I do NOT support an eye for an eye. I would have been just as happy if he was alive and in custody and on his way to Gitmo or wherever the government would put him. I have never believed that the death of a criminal in response to the deaths of their victims is appropriate. I also disagree with any policy that would call for targeted killing of “bad guys”. I would like to think, short of evidence to the contrary, that President Obama authorized the capture of Bin Laden and that he forced the fire fight that in the end led to his death. Sunday night, after the statement, the news channels showed crowds in DC and New York celebrating like their favorite team had won the World Cup. I understand the emotion but it was no better than the scenes on 9/11 of Palestinians dancing in their streets. The death of Bin Laden wasn’t a victory or justice. It was an end to a chapter of our history. It was 10 years in the making. I also have some friends who are a bit upset at the use of the military and the killing. I have always been of the mind that sometimes use of the military is necessary. Using the legal system and police work should be the default but sometimes we have to deal with irrational assholes who don’t subscribe to law and order. I thought the invasion of Afghanistan after the Taliban refused to hand over Bin Laden was the right thing to do and the use of Special Forces to raid Bin Laden’s compound on Sunday without telling Pakistan was also correct. There have been a lot of questions about the Pakistani response to Bin Laden, al-Qaeda, and the Taliban. For years it supported Bin Laden and the Taliban as a policy to keep India, their on again off again enemy, off balance. I also think the burial of Bin Laden within 24 hours of his death as prescribed by Islamic law was much more than he really deserved seeing how his buddies in Iraq and Somalia abused and mutilated dead Americans over the years. With the final objective of the war in Afghanistan completed with Bin Laden’s death, I would hope we can bring our soldiers home sooner rather than later. This entry was posted in History, Life, Media, Politics, Religion and tagged 9/11, Afghanistan, death, justice, killing, Osama Bin Laden, Pakistan, President Barack Obama, US Special Forces, war on terror on May 3, 2011 by Doug.